I know Birmingham like the back of my hand, but sometimes the restaurants and bars which you pass by regularly, slip under your radar, and you forget about them. I've felt like this about Bar Estilo in the Mailbox for a long time, so my friends and I decided to finally visit the Mediterranean tapas bar in the Mailbox, and gorge on the little dishes. The canal side setting, even during the cool autumn and winter months, is pretty, and when a venue has both the visual and the physical (food), I'm happy. My friends and I dined here a couple of weekends ago, and found the place surprisingly busy. It was only 4.15pm, and I never thought of Bar Estilo as hot and happening, but the Mailbox is always buzzing with life. We were seated immediately, however, and were given fifteen minutes to peruse the menu. We aimed to order before 5pm because tapas is 2-for-1 prior to that. The menu is pretty traditional, and for a modest £20 (between two people), we tasted loads of dishes including chorizo con garbonzos, halloumi souvlaki, patatas bravas, hummus and flatbread. My sister loved the halloumi and hummus, but I preferred the chorizo con garbonzos, which wasn't as spicy as I'd initially thought. Surprisingly, after two tapas each, my friends and I were full. 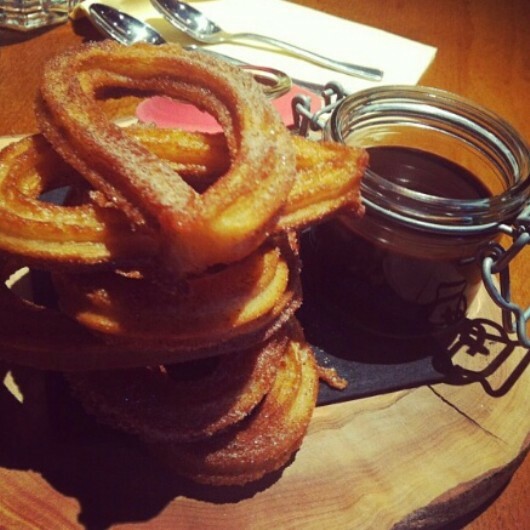 However, looking over the dessert menu, the four of us decided to share the South American equivalent of heaven: churros. The churros were perfect, just as we'd hoped, and we were served a huge stack of them, so there was more than enough to share. 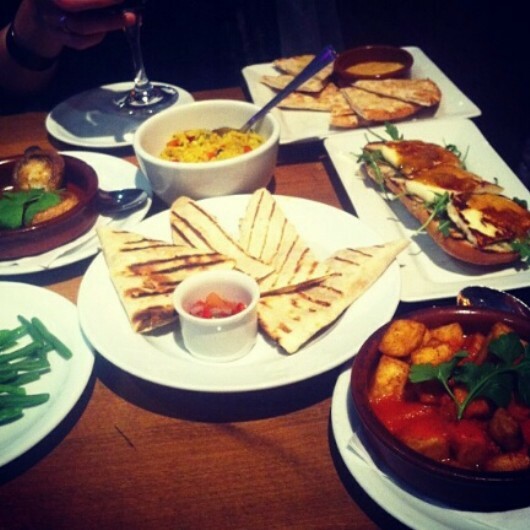 Individual tapas dishes are priced from approximately £3 - £6, so you can enjoy a quick lunch for less than a tenner, if you're out for a bargain.